Historical records regarding the origin of the name Batac are not available. Nevertheless, the people believe that Batac was already the name of the place even before the coming of the Spaniards. In some early accounts of the Spaniards, the name of the town was also written as Batag (Blair and Robertson, 1973). There are three theories through which the natives of the place explain how their town got its name. One is that Batac is indigenous to the place. The term Batac means an assistance given to another who is in need of help. Hence, the name must have been derived from the common trait of the people who are ever ready to extend a helping hand to anybody whether he is a native of Batac or not. Another theory is that, it must have been the Indonesians who settled in the place who had given the name Batac. These Indonesians migrated to the archipelago from Southeastern Asia about 5,000 years ago (Zaide, 1968). In early 1687, the first site of Batac was San Jose, now called Palpalicong or Barangay No. 12. There were two separate communities at that time. One was the Christian Community which was headed by a chief called Captain Bazar, and the other one a Non-Christian group called Itneg, headed by a Captain Tagley who was then occupying Sitio Nangalisan, now a part of Barangay No. 25-S Payao. With the passing of time, the non-Christian were assimilated by the earnest and peaceloving Christians as Spain pushed through the frontiers by means of the cross and sword, the doctrines taught, and left it by Christ. From then on, the united communities grew into the town of Batac. Although Batac was founded by the famous conquistador Juan de Salcedo way back in 1577, shortly after he had established sovereignty in Vigan, Ilocos Sur, records available do not show what happened that year up to the year 1708. Let it suffice to state that like other communities, the people formed a government to the simplest type and rules were formulated to be followed by the people. It can be said that it passed thru the encomienda system which succeeded the barangay state of local government. It is said, “the past is a prologue to the future.” This brief account of the town’s colorful history is by no means complete. Since 1708, the town has progressed significantly. It has encountered countless hardships in the course of its existence, including those precipitated by earthquakes, cholera and other epidemics, great fires, devastating floods and similar calamities. Through the years, Batac’s ability to survive wars, economic difficulties and political turmoil among others, has been proven by its consistent re-emergence as a stronger and better town, eager to meet the challenges of tomorrow. As an aftermath of the Aquino Administration, Batac became a fourth class Municipality by the virtue of Executive Order Number 249 signed by President Corazon Aquino on July 1, 1987. E.O. 249 also provided the Income Standardization of Municipalities. It also served as a basis for fixing the minimum tax ceilings impassable to local governments. This is to determine administrative and statutory aids, financial grants and other forms of assistance to local government and for implementation of salary laws and administrative emoluments that local government officials and personnel may be entitled to. And on July 1991, Batac became a third class municipality under the New Local Government Code (R.A. 7160). As per MC No. 97- 3(32), and the Department of Finance, Department Order No. 24-97, dated March 26, 1997 Batac which had an average annual income of P18,173,023.37 from 1992 to 1995 was reclassified into a 2nd class municipality effective July 1, 1996. Batac’s cityhood all started with a dream and aspiration in 1998, when it was already qualified to become one. The people of Batac expected cityhood to come sooner, but it did not. It took all nine years to achieve this “elusive” dream. It was a long wait, Batac almost did not have it. But with the firm determination of the municipal officials, barangay officials and municipal employees, headed by the then Mayor Jesus R. Nalupta, Sr., the support of the sympathetic congressmen and senators, and the prayers of the people, Batac finally became a city. This is through House Bill No. 6004 which lapsed into law on March 24, 2007. Then, on June 23, 2007, through a plebiscite, the people of Batac supported the conversion of Batac into a component city with an overwhelming YES VOTES or 89% of the total cast votes. 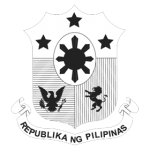 It was then proclaimed as a component city on June 23, 2007 by virtue of Republic Act No. 9407, An Act converting the Municipality of Batac in the Province of Ilocos Norte into a component city to be known as the City of Batac. But on November 18, 2008 a distressing circumstance jolted the16 newly created cities, including the City of Batac when the High Tribunal junked the cityhood bills of 16 cities by a vote of 6-5, and declared their conversion as unconstitutional. In spite of this, Mayors of the 16 cities filed a motion for reconsideration. On March 31, 2009, the SC, by a vote of 7-5, denied the first MR for lack of merit. The High Tribunal also said that no further pleadings should be entertained. On April 28, 2009, the Court, by a vote of 6-6, denied a second MR, again for lack of merit. The tribunal also said that no further pleadings should be entertained and that an entry of judgement shall be made in due course. On May 21, 2009, the Court declared the nullification of the said cityhood laws. The ruling was recorded in the entry of judgment, which means that the case is closed and the decision is ready for execution. The exemption accorded the 16 municipalities is based on the fact that each had pending cityhood bills long before the enactment of RA 9009 that substantially distinguished them from other municipalities aiming for cityhood. On top of this, each of the 16 municipalities also met the PhP 20 million income level exacted under the original provisions of Sec. 450 of the 1991 Local Government Code. (GR No. 176951). But on August 2010 the Court declared again the nullification of the said cityhood laws. The ruling was recorded in the entry of judgment, which means that the case is closed again and the decision is ready for execution. BUT, FINALLY ON FEBRUARY 15, 2011, THE SUPREME COURT, WITH A MAJORITY VOTE, REVERSED AND SET ASIDE ITS AUGUST 2010 DECISION AND DECLARED AS CONSTITUTIONAL “FINAL AND EXECUTORY” THE CITYHOOD LAWS CONVERTING THE 16 MUNICIPALITIES TO CITIES. The Supreme Court moreover said as a matter of settled legal principle, “the fundamental right of equal protection does not require absolute equality. It is enough that all persons or things similarly situated should be treated alike, both as to right or privileges conferred and responsibilities or obligations imposed. The equal protection clause does not preclude the state from recognizing and acting upon factual differences between individuals and classes”.